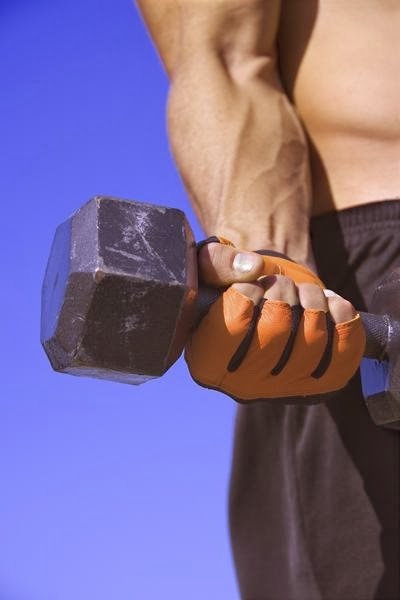 The wrist curl is a training exercise for only develop the muscles of the wrist flexors of the forearm. It is therefore an isolation exercise. Ideally, it should be done in combination with the "reverse wrist loop" (also called wrist extension) to ensure equal development of wrist flexors and wrist extensor muscles. ➊ Sit on one finish of a bench and hold a dumbbell with one hand, radiocarpal joint against your knee, palm up. ➋ Lifting a dumbbell in one hand and rising slowly lower back off once a brief pause. ➌ Alternate hands once a group. Keep your arms still long. ➊ Sit on one finish of a bench and hold a dumbbell in every hand, radiocarpal joint against your knees, palms up. ➋ Lift the dumbbells lifting solely your hands and slowly lower them back off once a brief pause. ➌ Keep your arms still long.